Sesame oil and white wine gives this mustard a distinct and vibrant flavor. 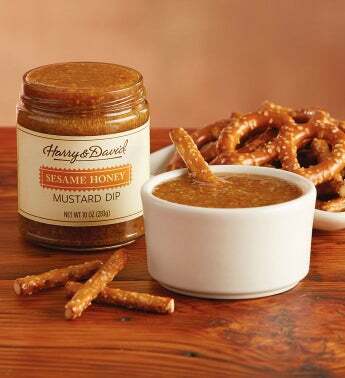 Excellent right out of the jar as a dip for fresh vegetables and pretzel sticks. Or, use as a topping for crackers and smoked salmon to complete a flavorful appetizer tray.